Rome (IKA) – The Holy See Press Office published on April 13, 2010 report from the first session of International Investigative Commission on Medjugorje, held on March 26th,2010. International Investigative Commission on Medjugorje is being presided over by Cardinal Camillo Ruini, who used to be Vicar of Rome Diocese and includes several cardinals and archbishops, many of whom serve on Vatican congregations or Pontifical Councils. These members include, Cardinal Jozef Tomko, prefect emeritus of the Congregation for the Evangelization of Peoples; Cardinal Vinko Puljic, Archbishop of Vrhbosna, and president of the Bishops’ Conference of Bosnia-Herzegovina; Cardinal Josip Bozanic, Archbishop of Zagreb and vice-president of the Council of European Bishops’ Conference; Cardinal Julian Herranz, president emeritus of the Pontifical Council for Legislative Texts and Archbishop Angelo Amato, prefect of the Congregation for the Causes of Saints. The commission also includes specialists such as Msgr. Tony Anatrella, psychoanalyst and specialist in Social Psychiatry; Msgr. Pierangelo Sequeri, professor of Fundamental Theology at the Theological Faculty of Northern Italy; Fr. David Maria Jaeger, O.F.M., consultant to the Pontifical Council for Legislative Texts; Fr. Zdzislaw Jozef Kijas, O.F.M. Conv., relator of the Congregation for the Causes of Saints; Fr. Salvatore M. Perrella, O.S.M., teacher of Mariology at the Pontifical Marianum Faculty of Theology and Fr. Achim Schutz, professor of Theological Anthropology at the Pontifical Lateran University as secretary. Msgr. Krzysztof Nykiel, an officer of the Congregation for the Doctrine of the Faith, serves as additional secretary. Other experts participating in the commission’s work include Fr. Franjo Topic, professor of Fundamental Theology in Sarajevo; Fr. Mijo Nikic, S.J., professor of Psychology and Psychology of Religion at the Philosophical and Theological Institute of the Society of Jesus in Zagreb; Fr. Mihaly Szentmartoni, S.J., professor of Spirituality at the Pontifical Gregorian University and Sr. Veronica Nela Gaspar, professor of Theology at Rijeka. As it was announced earlier on, the work of this Commission is not going to be open for the public and all conclusions and findings will be subject to Congregation for the Doctrine of the Faith. I am sorry the Commission is not open to the public. However, it does not matter to me who is on the Commission or what they decide. What matters to me is that the Blessed Mother continues to implore us to love and higher levels of God’s blessing. I seek her guidance regularly through the medjugorje.org website and she has answered my calls. Anything else is man made and matters little to me. Thank you Jesus for trying to teach me patience and guiding me to look forward to the day I can enter Your world where hate and fear and pain will be replaced by love, compassion and True knowledge. Our Mother will be heard by all whom She calls. It will not be too much longer before She will be heard by the church. Her Immaculate Heart will triumph. God is good. His mercy will be known to all. I pray for those who do not believe because they are deprived of this beautiful gift of our mother that He is giving to us evey day. Holy place should not publicly open? Is someone afraid? long.Simply because of its own interest among the Church? that Jesus is happy on this? The answer is “NO”. thier human power and interest in the hands not Jesus will. Love Hym in “TRUE LIFE IN GOD”. us.In the end Her immaculate will heart will triumph. Let us pray to the Father that we all maybe one. this is the desire of the Lord Jesus Christ. “The church is the pillar and foundation of truth” (1 Timothy 3:15). 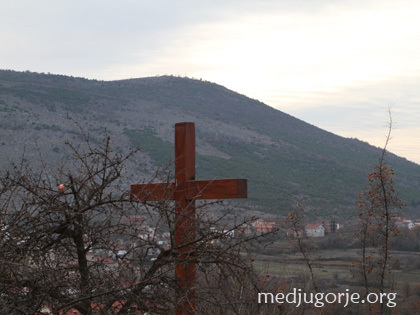 Guided by the Holy Spirit, the Commission will come to recognize the truth of Medjugorje. Our Lady of Medjugorje needs our prayers, not our curiousity, to bring this about. “Pray, pray, pray”. I am a true believer in the Blessed Virgin Mary as regards Medjugorge I do not know what to believe has the Blessed Virgin appeared there . I have read what the bishop Zanic said it has my mind all in a state .The Blesed Virgin Mary is the mother to all good people the truth must always be said about her. Our Lady’s Immaculate Heart will Triumph. Our prayers with and for Our Lady and her intentions are important. Listen to her and do as she asks. She is leading us to Her Son – all ways! The church has always been cautious about the apparitions of the Blessed Virgin. It took some years before the church started investigating Fatima and Lourdes. However here in Medjugorie it took 28 years to commence the investigations. Let us pray to God through the intercession of the Blessed Virgin that it will not take another 28 years to reach a conclusion. In Lourdes there were supernatural signs that happened and the church became convinced of the presence of the Virgin Mary. Perhaps the church will decide when the promised sign will appear on the hill of Medjugorie. My brothers and sisters in Christ let us continue in our prayers, as Mother Mary requested, so that this commission will reach a just conclusion soon. I visited medjugorje for the first time on the 2/8/2010 and had a great experience i personally do not expect to see or need to see miricles in medjugorje as i experienced a true presence of our lady . I would highly recomend a visit, if it is not possible for you to visit just pray the rosary each day and our lady will look after you and your family. at the mass of the immaculate conception of Mary, we had Nancy and her husband from Canada and now live in Medjugorie give their testimony on how mother Mary interceded for them to help their children out who were lost for one was an alcoholic and the other son was a drug dealer and their daughter was divorce twice at the age of 23. Mothers message to the parents was to pray the rosary, go to mass, go to confession ,fast of wednesdays and fridays with bread and water, and read the work of God and carry it in your heart everyday and she will do miracles in your family. The parents did just what Mary told them and they saw conversions in their children they all got converted in doing Gods will and that is to follow Jesus our Lord and Savior! I was so moved by their testimony that after mass i talked with them and Nancy was filled with grace and her husband was joyous and full of zeal for praying the Holy Rosary. Brothers and Sisters no worries, Mother Mary says it in a simple way. PRAY THE ROSARY EVERYDAY AND ASK HER TO OPEN HER MANTLE OF LOVE AND LEAD YOU TO HER SON JESUS WHOSE PRECIOUS BLOOD WILL HEAL YOU FROM ALL THAT THIS WORLD HAS. PRAY AND PRAY NOW! GOD BLESS……………………. The church is protected by the Holy Spirit. Whatever the Commission decides, we must be obedient to the Roman Catholic Church. I have been to Medjugorje 7 times, and my family was blessed with many graces. We need to just keep following Our Lady’s requests, which are in alignment with the church’s teachings anyway, Confession, Eucharist, Fasting, Rosary, love our neighbor. 01/21/11 – Father Salvatore Perrella who is a member of the Vatican commission to study the alleged Medjugorje apparitions, told Catholic News Service the work is only just beginning. Blessed Mother leads her children to deeper love and understanding of her son and his will for each of us. She magnifies the Lord because she is his mother and his handmaid with eyes always on the Master. Prayers is an conversation with God , food for soul and when paired with Mass and fasting may lead to holiness through Mary our Mother. I love Holy See and the fact that we have a guard against errors in our faith . It will always get to the truth through Holy Spirit promised to his church . Peter is the rock and on this rock stands our church which through ages has not been distroyed despite of many turbulations . In the mean time let respond to our Lady call for peace and unity in God’s family and eyes of the heart in seeing our missions full of God’s love . I have been praying the Rosary and the Chaplet on most days in the last few months after being a sinner for most of my life. I pray for the health and well-being of myself and family and friends of which I am most gratefull that our most loving GOD and Saviour along with our Blessed Virgin Mary has granted my prayers by blessing us all with the gift of grace of good health. The events of Fatima,Lourds and Medjugorje has deepened my faith enormously and after shaking hands with Ivan at the end of one of his speaking schedules at Ararat in Melbourne Australia,my resolve has increased immensely. I would like to add before closing this message to not pray for material blessings, but pray for inner peace of which material matters may arise. I am very happy that a Commision is finally going to investigate Medjogore and Mother Mary’s appearances/.Our Blessed Mother is performing miracles of reaching peoples’ souls everyday! The world is in such disaray-we need to keep praying! Thanks to our Blessed Mother interceding in her Son’s behalf! I visited Medjugorje in 1998.I had personal experience during the appartion of the Mother during those days April 11 to 28 that year.